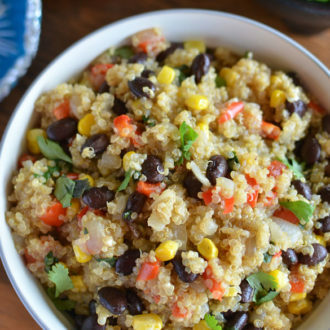 This easy weeknight dinner (or breakfast!) 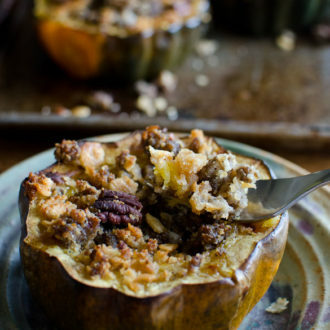 involves cooking stuffed acorn squash in the oven with a flavorful sausage and pecan filling. 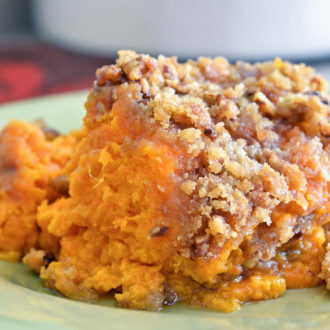 This Sausage-Stuffed Acorn Squash recipe will soon turn into your family’s favorite. 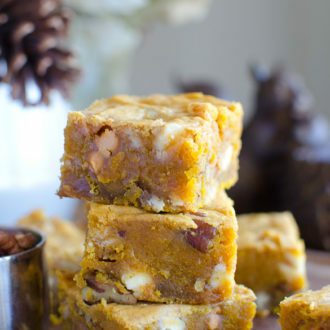 A recipe for Pumpkin Blondies loaded with rich flavors of fall and a thick gooey texture. 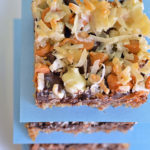 These rich sweet dessert bars are packed with white chocolate chips, butterscotch chips and pecans. 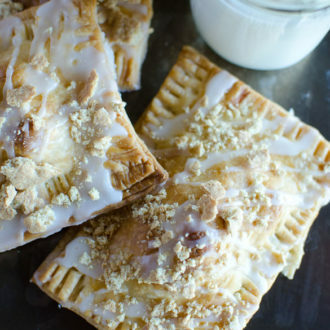 Homemade S’mores hand pies hold even better taste than your favorite store-bought S’mores Pop Tarts. 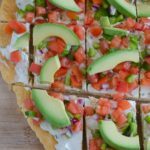 Our kids love these and they are easy to make with pre-made refrigerated pie crusts! 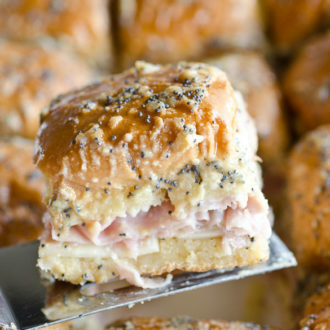 These ham and cheese sandwiches are baked in Hawaiian rolls with a buttery mustard poppy seed topping. 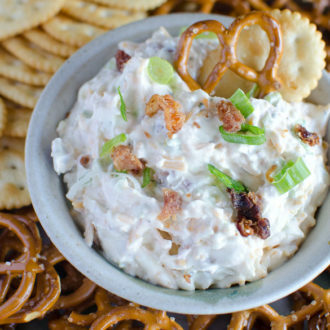 They are a classic party appetizer, but my family eats them for lunch and dinner, too! 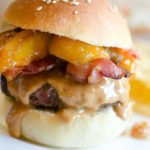 Serve these ham and cheese sliders right from the oven to the table! 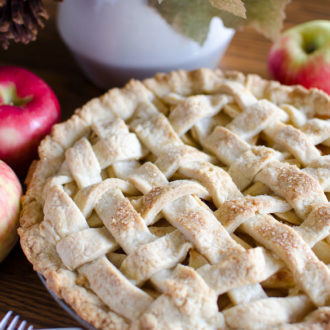 Our favorite homemade apple pie recipe for over 10 years! 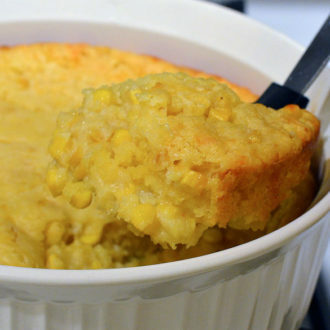 It’s simple and delicious, and requires zero chill time for the dough. 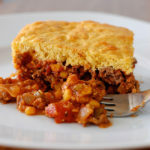 This American favorite uses basic ingredients like flour, sugar and cold butter for a quick and flaky crust! 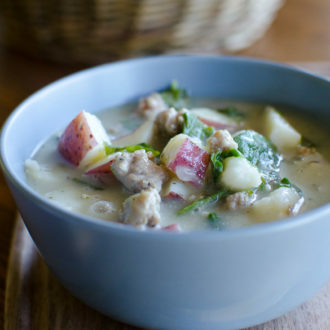 A simple and healthy potato soup with sausage and kale that is reminiscent of the familiar Zuppa Toscana at your favorite restaurant. 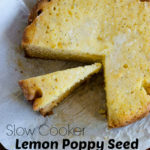 This recipe can easily be Whole30 compliant and is full of flavor. 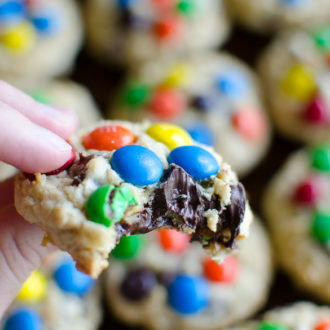 My go-to chocolate chip cookie recipe loaded with chocolate chunks and topped with M&M’s. 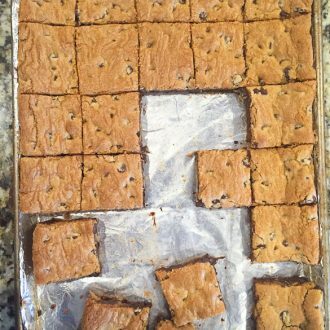 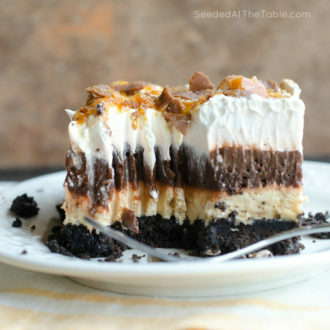 It’s almost impossible to stop eating them right from the oven! 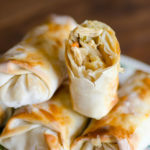 Cocktail sausages and refrigerated crescent rolls are the only two ingredients needed for this mini Pigs in a Blanket recipe. 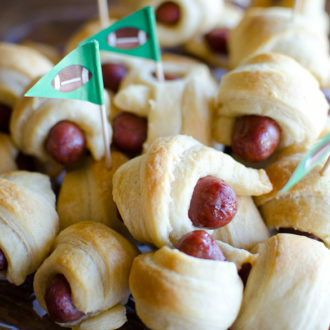 During football season we call these “Pigskins in a Blanket” for a fun tailgating snack! 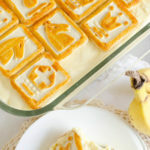 A rich and tender pumpkin cake with a thin layer of brown butter icing poured over the warm cake right from the oven! 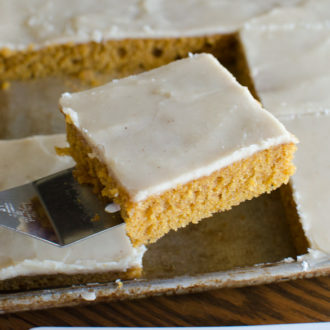 This pumpkin spice sheet cake is a fall favorite and feeds many people! 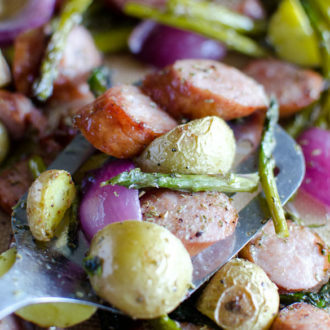 Easy dinner tonight using only one pan with this Sheet Pan Kielbasa and Vegetables recipe. 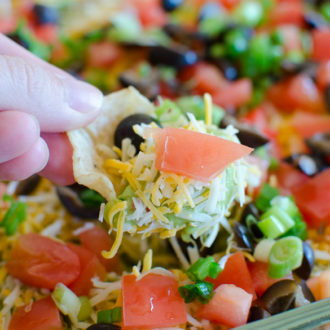 Roasted links and your choice of vegetables on one large cooking tray – lined with foil for easy clean up! 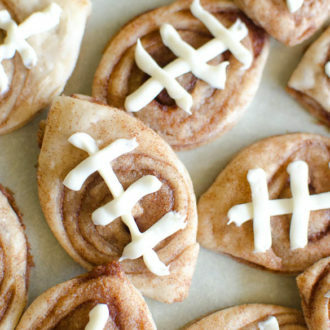 These Cinnamon Swirl Football Cookies are a fun tailgate food and a treat for your kids on game day. 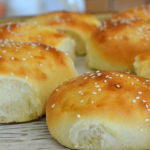 Use a refrigerated pie crust dough for a simple recipe. 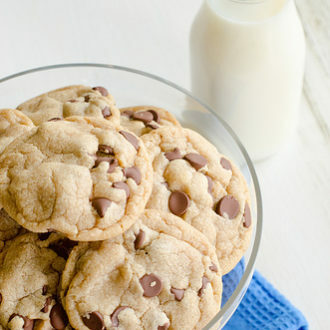 Dirty only one bowl and use yellow cake mix to make these easy chocolate cookies with M&M’s, sprinkles and chocolate chips. 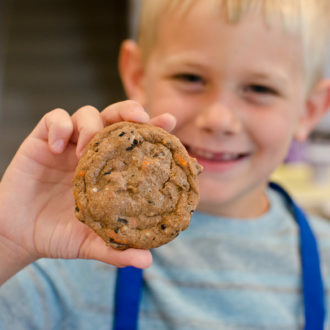 Simple steps mean your kids will enjoy baking these with you! 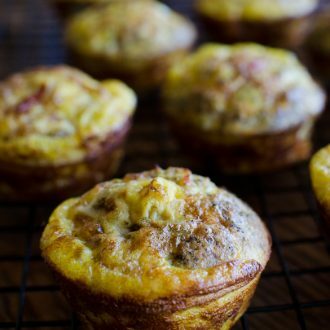 These Sausage Egg Muffins are full of flavor and easy to throw together. 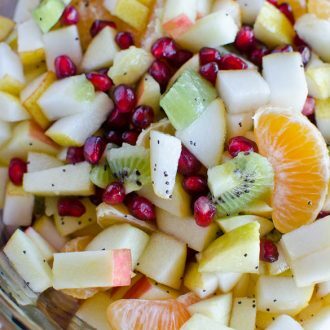 Eat right away or freeze for a quick and convenient Whole30 approved breakfast. 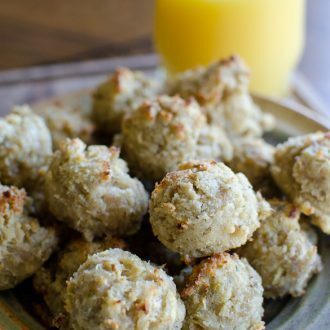 These Whole30 compliant sausage balls can keep in the freezer for a quick and easy breakfast! 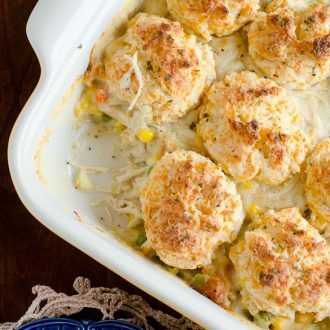 Healthy sausage balls for the win! 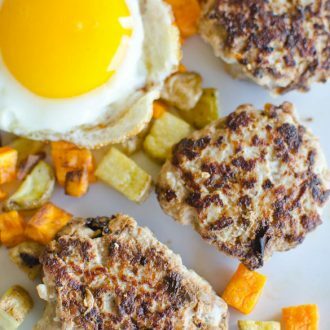 This homemade sage breakfast sausage recipe helped us through our Whole30 compliant diet a few months ago, and we still make it weekly! 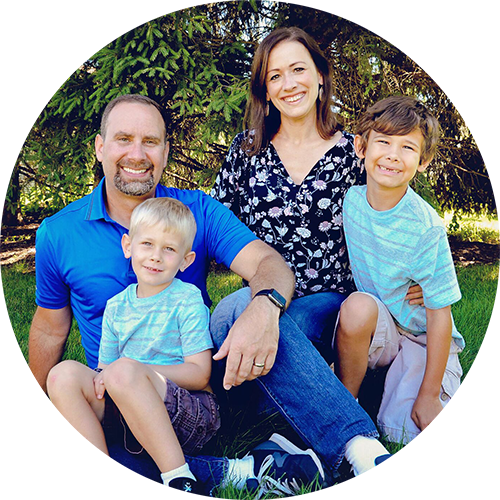 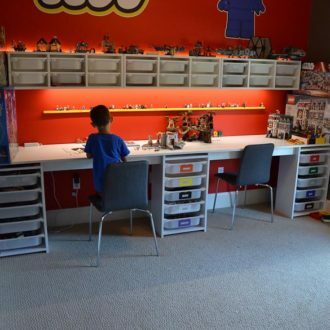 My kids love it, too! 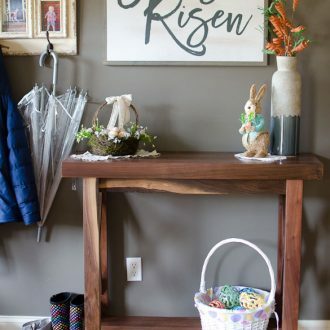 Our new DIY custom-made entry table is made of walnut and adds a warming place of invitation to our foyer.